We like to keep a really close eye on kiwi released into the wild. Most kiwi are still teenagers when released suddenly on their own with big responsibilities. They have to find a home, find a mate, eat 3 square meals a day and hopefully have a family one day. We check on them regularly, especially in the first 6 months to a year, to see how they are doing and make sure they are coping ok. Your sponsorship will go towards vital kiwi saving equipment such as predator traps and kiwi transmitters but also ensure that we can continue checking on and helping these kiwi to thrive in the wild. 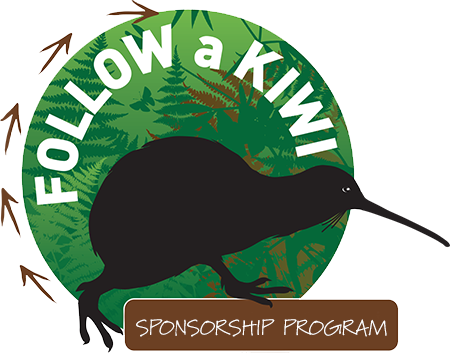 You can become a kiwi sponsor and follow the lives and adventures of four wild kiwi – Milo, Kicker, Marohi and Kokiri. Find out about personalised kiwi encounters and special opportunities to name kiwi through the new Kiwi Coast ‘Adopt a Kiwi’ and ‘Name a Kiwi’ sponsorship programs”.